Any business hinges greatly on its customers. And this is the main reason why companies should sharpen their focus on building strong customer relationships. In order to keep up with the existing clients and to win the trust of newcomers most businesses implement customer relationship management (CRM) systems. Among well-known companies that have introduced a CRM strategy are Lufthansa, British Airways, McDonald’s and other successful business giants. 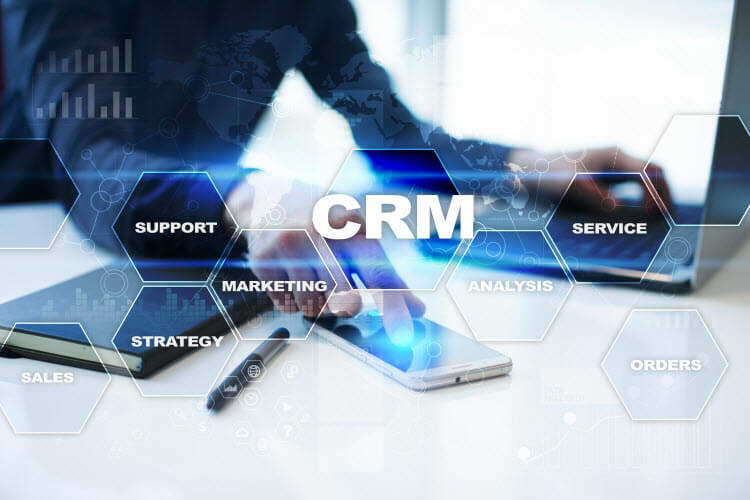 In this article we will show why these companies decided to adopt a CRM system and how others can make the best of their experience. On average, businesses use about 5-8 various means of communication to work with customers: telephony, email, accounting software, social networks, online consultants, application forms on the site. 1. It streamlines sales and marketing. A CRM system is indispensable when it comes to sales and marketing departments. The majority of previously manual operations are automated and optimized, which saves much time and effort that can be spent on searching for new customers, building relationships with the existing ones, and improving sales and marketing campaigns. 2. It offers a good repository. Every business produces, gathers and receives tons of various information that needs to be saved. A CRM system not only collects all the necessary business data: it also connects and links this information, which helps to identify tendencies, analyze effectiveness, calculate revenue and expenses, etc. 3. It lets you get rid of paperwork. With a CRM system on board, paperwork will no longer be required. The system easily manages and stores all the documents, emails, contacts and, more importantly, it helps to save the planet. 4. It provides smart reporting. Manually created reports are no longer effective. CRM software provides customizable and redefined smart reporting (status updates, changes of trends, etc.) that will help to analyze the business processes and give visibility of staff performance. 5. It improves customer service. Businesses that implement a CRM system can expect a significant enhancement of customer loyalty through greater customer service. Any staff member may get access to the customer’s history: first contact, order and delivery data, and sometimes personal preferences. This information allows running the business smoothly even in case of unforeseen circumstances. Armed with all these data, managers can effectively schedule time with their customers, personalize all the follow-up activities, or target special offers at regular customers. To put it briefly, a good CRM system will clearly benefit your business. It streamlines the sales cycle, facilitates cooperation, triggers effectiveness, and enhances customer satisfaction. If you want to enjoy all the advantages of the professional customization of a CRM system and even more, get in touch with EffectiveSoft. We have considerable experience in building custom CRM solutions that will help your business to excel.